This is our new “dog”ther, Shadow. She’s a bit shy, so you have to pardon the snaps we’ve been able to take of her. Shadow comes to us from one of my work friends who found her as a stray last year. 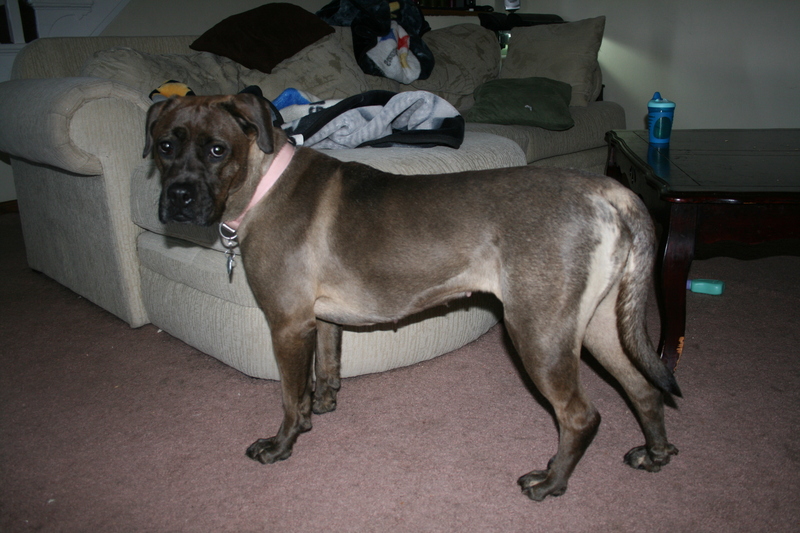 She is about a year and a half old and part boxer (we’re not sure exactly what her other half is). Shadow came to us at a good time–Rowdy’s been a bit lonely, and now the two of them wear each other out to the point they spend the nights snoring away. Her sweetness combined with her love of Mama have won us over, and we’re glad to make her part of our family. 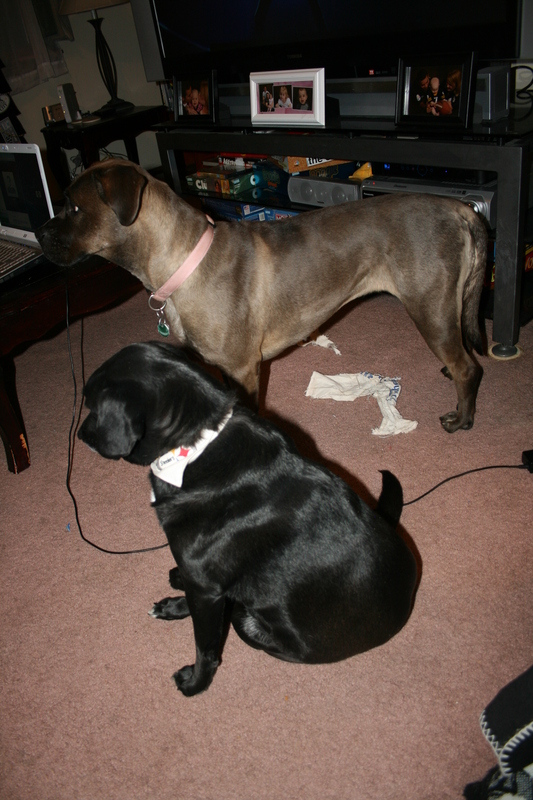 This entry was posted in Rowdy, Shadow and tagged boxer, dogs, lab, pets. Bookmark the permalink. 3 Responses to Everyone? Meet Shadow! There is definitely some Great Dane in her as well. That’s been suspected! She is incredibly protective and appropriately named Shadow, she’s always at my side and tells our little lab mix how it is when he tries to get in the kids’ rooms. This is so awesome! She qualifies as a rescue! 🙂 Welcome Shadow!